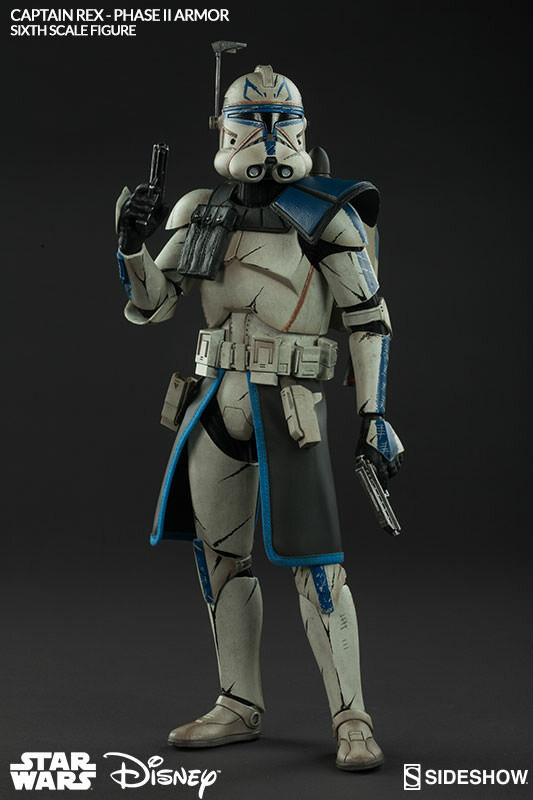 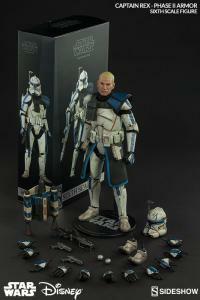 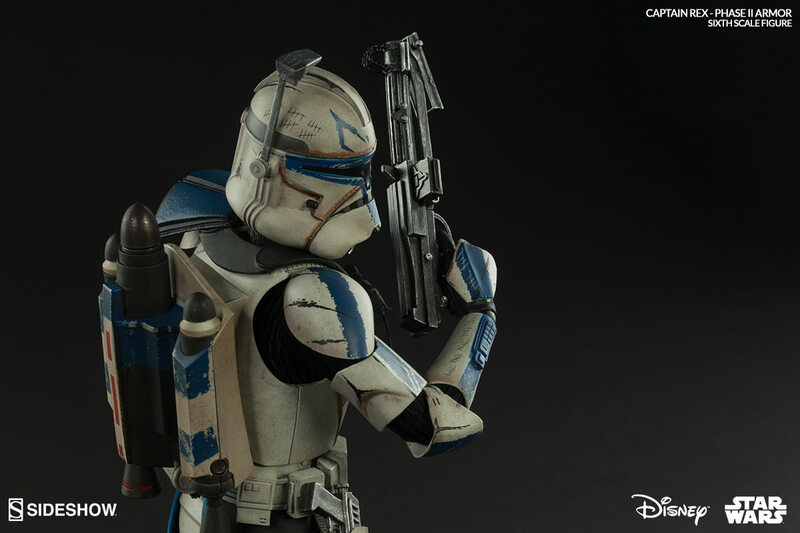 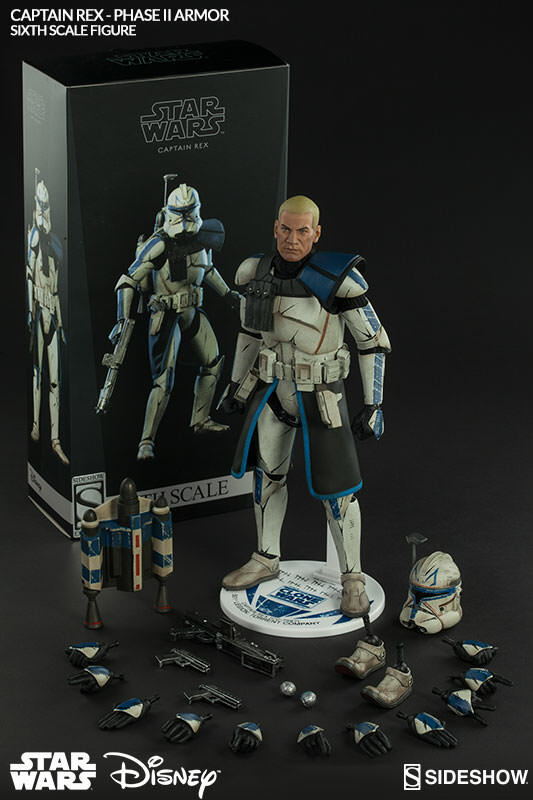 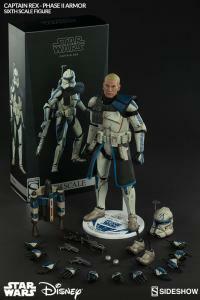 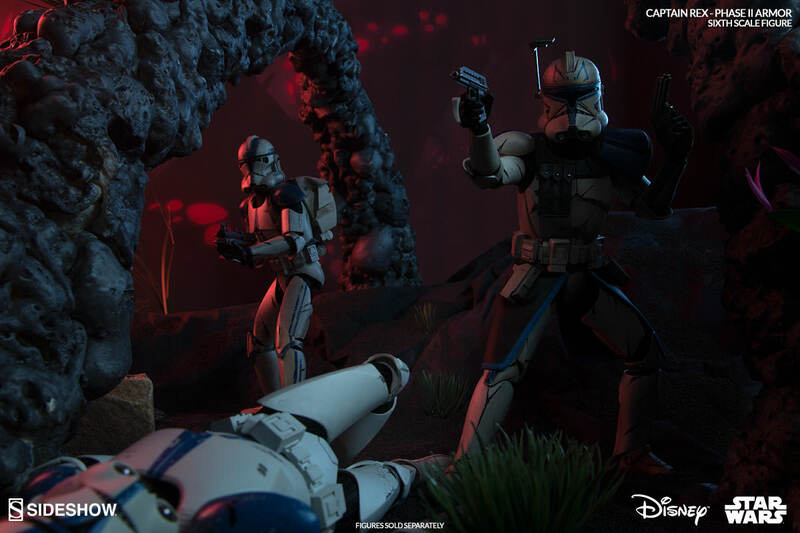 Ready to lead the charge, Sideshow’s Captain Rex - Phase II Armor Sixth Scale figure comes fully equipped with his signature grey pauldron, kama and twin blasters, along with a carbine blaster and droid popper for backup. 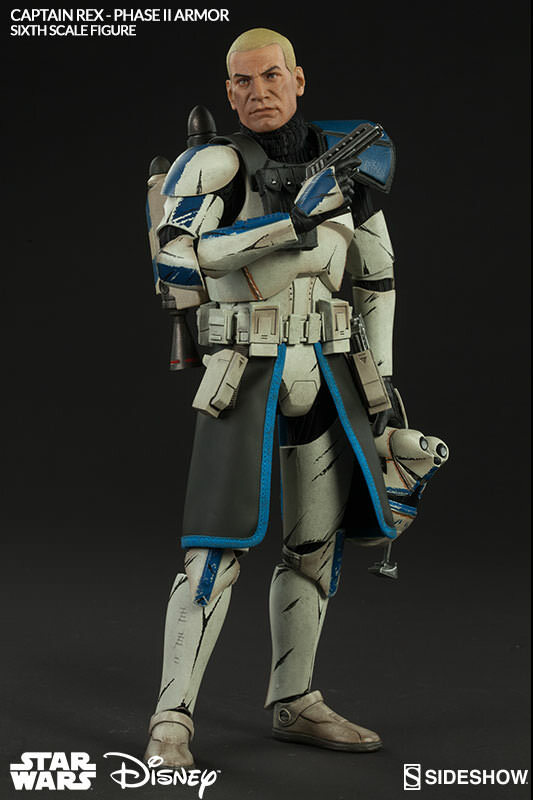 Never one to follow the crowd, the aggressive and freethinking Captain shuns the standard upgrades for his highly customized Phase II gear. 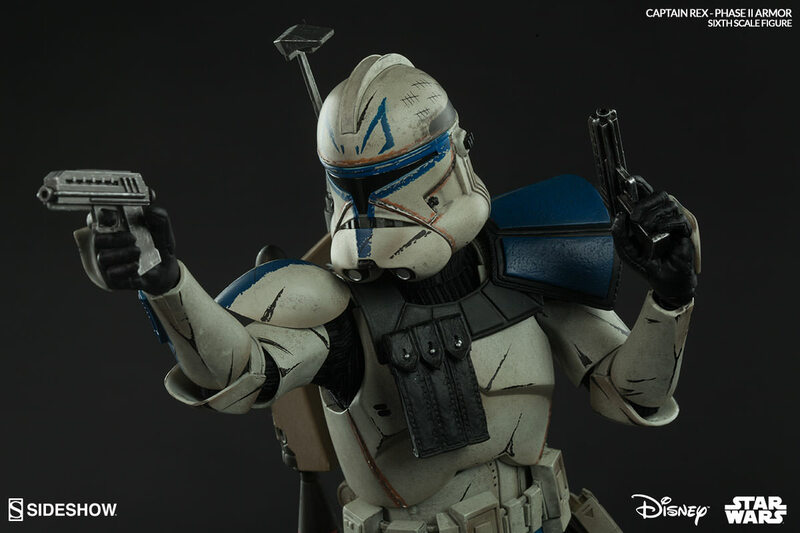 His Phase II bucket boasts blue jaig eyes, a Mandalorian badge of courage, along with rangefinder and other welded modifications. 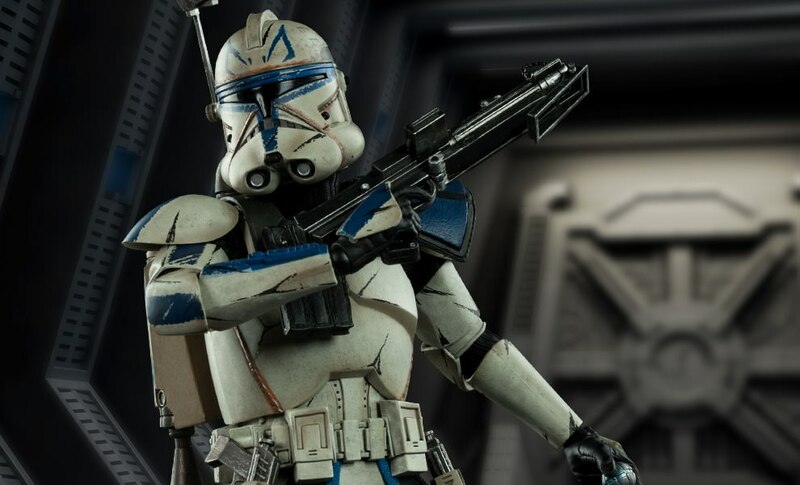 Often faced with danger in the line of duty, numerous tally marks along the seasoned fighter's helmet and armor paint a vivid picture of his victories in battle. 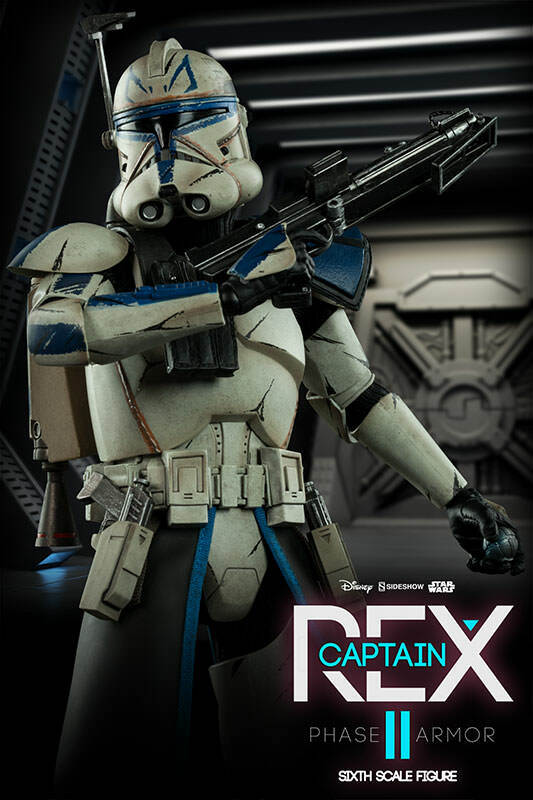 My Captain Rex Figure is my most prized possession. 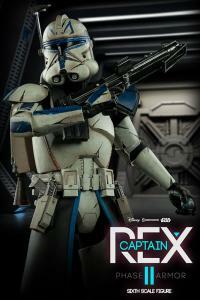 He is one of if not my favourite character in Star Wars. 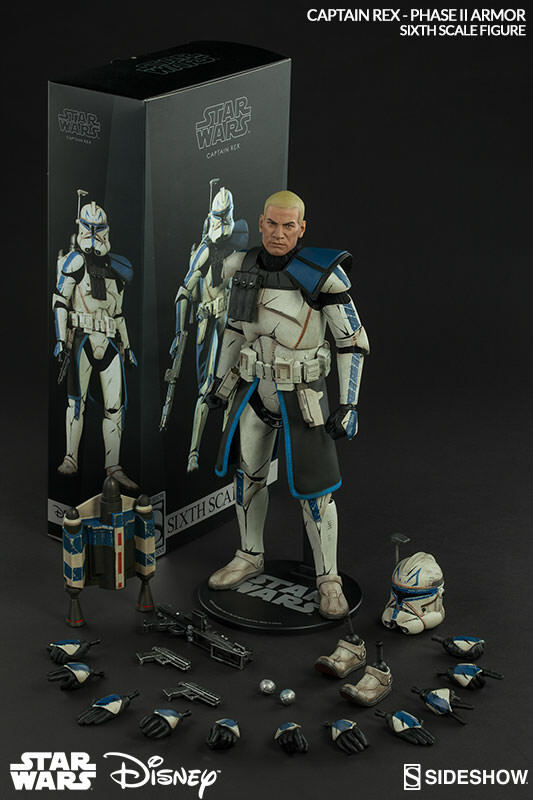 I would say that I recommend this figure, but it's sold out... so I don't even know why I'm writing this review. 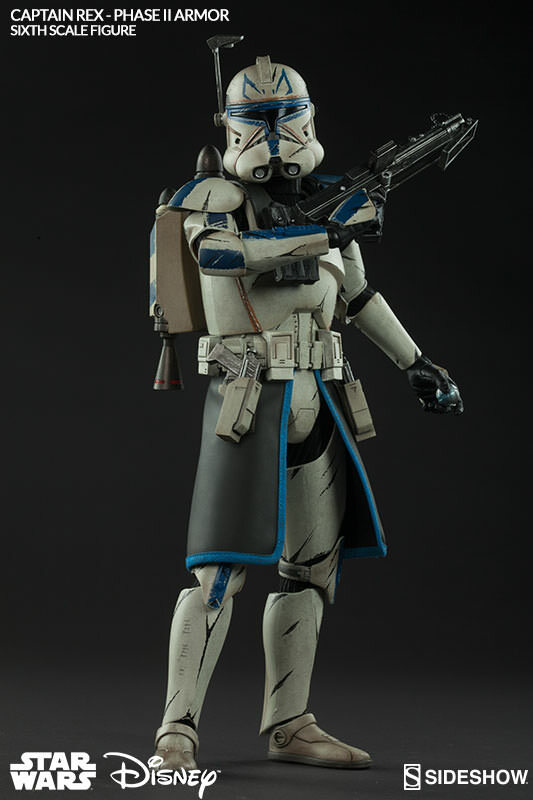 It's dope though.